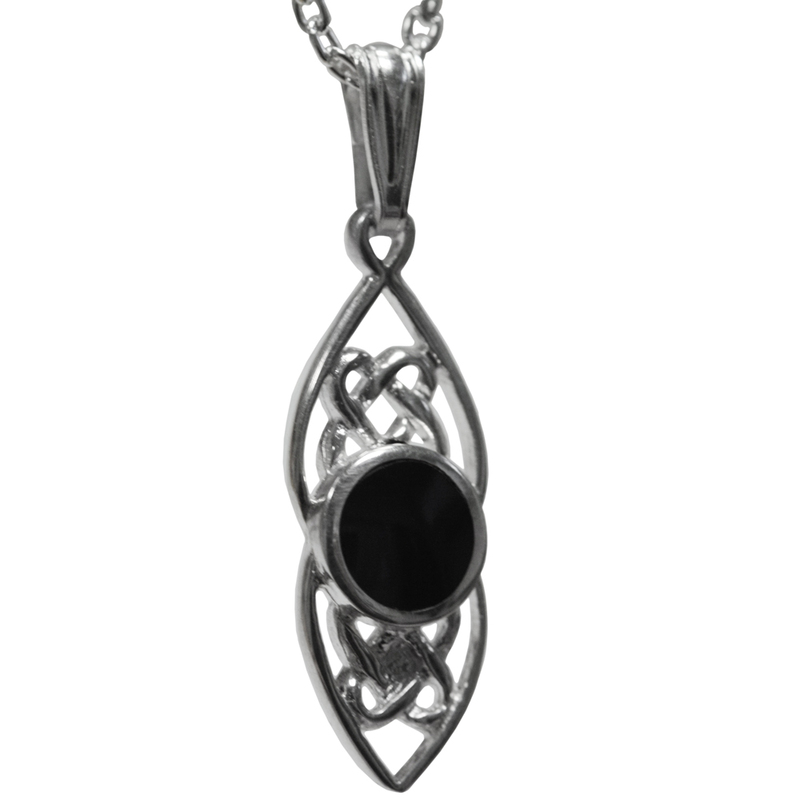 This stunning Celtic style pendant set with a highly polished genuine Whitby jet cabochon (5 x 5mm). This timeless piece of jewellery has been hand crafted by Chris Watson of Watsons Jet Workshop in Whitby, he carries on a family tradition of jet carving dating back to the Victorian era and is the only present day jet craftsman to be a member of the Worshipful Company of Turners. Jet is the fossilised wood of the monkey puzzle tree (Araucaria Araucana) and dates back 150 million years. It is found in isolated pockets around the world but none of it is as hard and pure as that mined from the cliffs and moors some sixteen miles or so around Whitby in North Yorkshire. 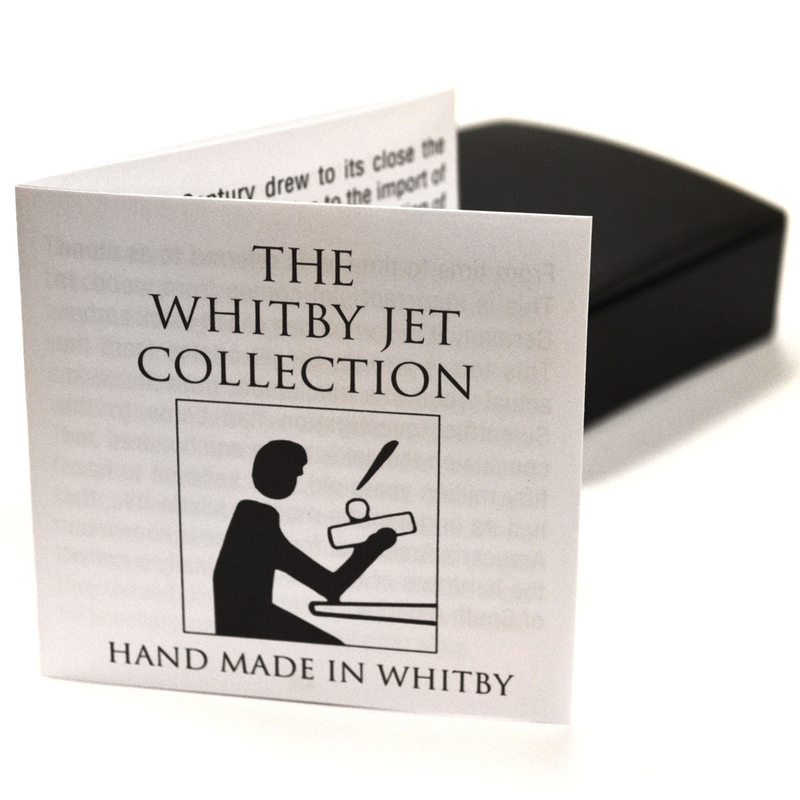 At the height of the jet industry in Whitby in the 1870s over 1400 people were employed to work the jet. The popularity of jet jewellery increased with Queen Victorias passion for mourning. In recent years there has been an increase in demand for jewellery made from this versatile and dramatic stone. We hope you enjoy wearing your individually handcrafted piece of jewellery for many years. 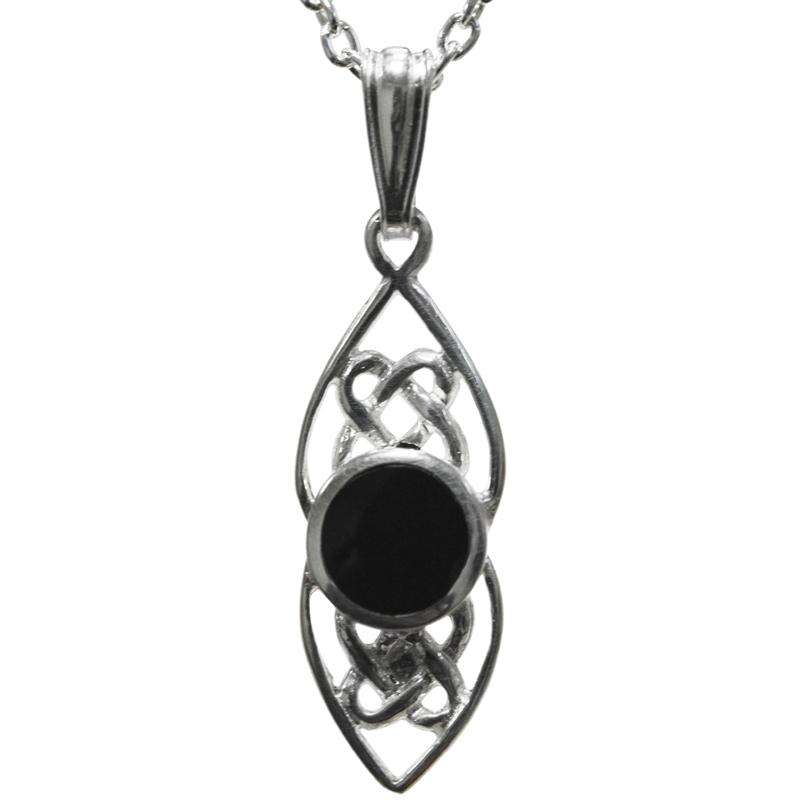 The pendant, complete with a 18 inch sterling silver chain comes gift boxed with a leaflet explaining the origins of jet.